Synopsis: Neo Geo is pushing out fighting titles on XBLA this year like Activision is releasing Call of Duty titles and multiplayer maps. 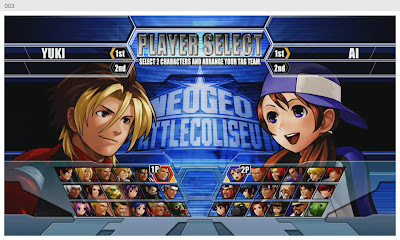 The most recent title provided to us is NeoGeo Battle Coliseum, which is a tag team two on two fighters consisting of new and old fighters that have appeared on NeoGeo systems on such titles as Fatal Fury, Samurai Showdown, and King of Fighters. 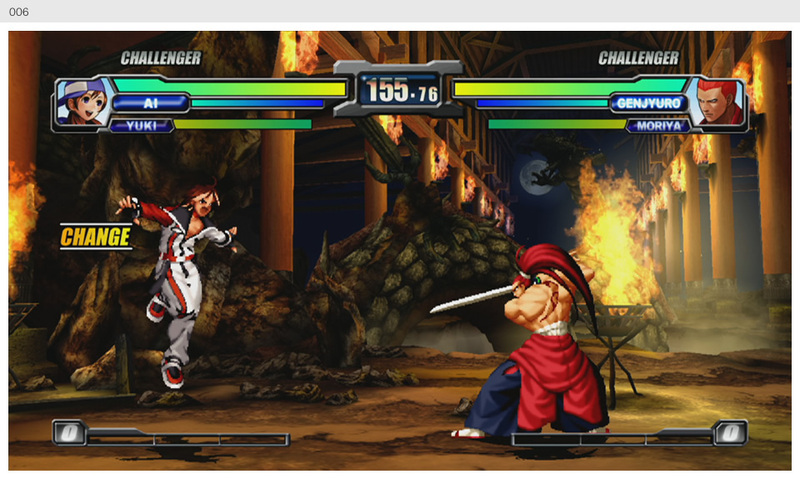 To give it that new car feel, SNK Playmore has redrawn the characters and backgrounds in high definition. Lastly, little did I know before doing my research on this title, but it was an arcade and PlayStation 2 title that was originally released in 2005. Without further ado, let’s see how SNK’s recent downloadable throwback fighting title stacks up in a genre that is making a large comeback. Praise: Unlike SNK's previous fighting titles, battle coliseum has a large selection of competitors with a wide variety of fighting styles, although I still found it hard to stray from using Mr. Big and of course, the well-known Terry Bogart. Being that I am much more familiar with the move lists from Street Fighter IV, since that was the last fighter I have been playing, I felt it fitting to take advantage of the practice mode to get the moves down, then single player to see how I fare against computer AI, then finally ending with Xbox live multiplayer to see how I rank worldwide with the occasional trash talking. Surprisingly, the online aspect of the game has a pretty active community, as it seems a lot of Xbox live arcade titles tend to be harder to find matches nowadays. The gameplay is a lot of fun as fighting is fast paced and actions are very responsive while the character editor allows you to adjust the colors of characters and outfits, providing individuality to your fighters when playing online. Gripes: I do have to address some things I noticed while reviewing this title starting with the graphics. SNK Playmore boasts that this has been redrawn in high definition, however, the appearance while playing does not appear to look that way. The backgrounds looks bright and flashy, however, the characters looks rather flat and jagged. Though I do have a decent fight stick to use when playing this genre of games, However, I realize a lot of our viewers may not own one, so upon playing Battle Coliseum with the Xbox controller, matches can be rather unforgiving, sometimes resulting in what looks like you are stuck in a glitch leaving you vulnerable to be hit until you pull off the intended move. Lastly, it is not too hard to find a match if you set the region to worldwide, but if you try to refine the matchmaking to region for example, it usually will not find a match and can take a while to find an opponent if you choose to create match. All in all, I really do not have any problems with battle coliseum as the gamplay was solid and was able to find matches quickly most of the time. If graphics are important, then you may quickly be turned off to this title, but if you have ever been a fan of any SNK fighter, then you will have a good time with this, plus the 800 Microsoft points price tag is another great incentive to purchase as there is a good amount of replay value behind this throwback. So who will you choose to enter the coliseum and do you have what it takes to make it through? 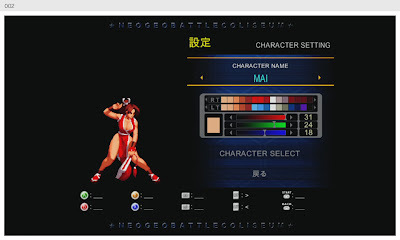 Mashbuttons.com gives NeoGeo Battle Coliseum an 7.5 out of 10. NeoGeo Battle Coliseum is available now for the Xbox Live Arcade.